Man’s best friend has taken on a whole new meaning, with service dogs, therapy dogs and emotional support dogs. For some people these dogs are not just companions, they are vital to their everyday lives. Animals who provide a service to people of many different needs, such as a trained guide dog for a blind woman or a therapy dog for someone who suffers from anxiety, can be crucial to a person looking to maintain a normal life. 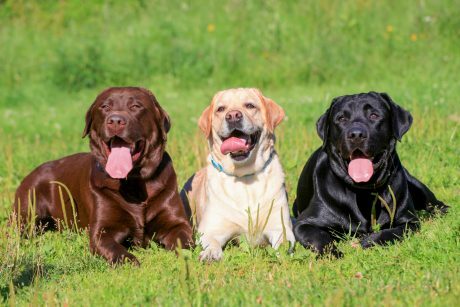 Each type of dog is called upon to fill a different need for its owner, and each is granted different protections under federal law. What is the difference in these dogs? Service dogs are trained to perform everyday and specialized tasks that benefit or help someone with a disability. They can be trained to guide the blind, help the hearing impaired, detect seizures or the impending threat of a seizure in someone who is epileptic. These dogs jump into action, taking the proper steps to ensure the person’s safety or performing a specific task that helps resolve the issue. This is different than an animal that is just there to raise a person’s comfort level, and the animal must perform a specific task, such as waking a veteran from a nightmare induced by Post-Traumatic Stress Disorder or helping someone with a compulsive behavior to recognize and stop the behavior. Papers are not required to have a service dog, and they are to be allowed in all situations. The Americans With Disabilities Act says that disabled people must be allowed to bring their service animal to many more places than just the veterinarian. Service animals are allowed wherever the public is allowed, including places where animals would normally be forbidden, unless their presence poses a threat to the health or safety of others. Another form of therapy that canine friends can provide is the service of an emotional support dog, a term that is often used incorrectly. There is a level of confusion on the subject of emotional support dogs, as it is often misused as an excuse for people wanting to abuse the privilege. Many people just wish to bring their dogs with them, without the actually medically diagnosed mental health disorder that recognizes the need for an emotional support dog. This leads to some issues, as often times the dogs or their owners are not properly behaved. The real use of an emotional support dog is to help someone with a diagnosed mental health issue, such as but not limited to anxiety, depression and many more. The final “official” need that dogs serve is that of a therapy dog. A therapy dog is used to provide comfort and affection to those people who are in want or in need of a friendly companionship. For example, therapy dogs have been used in hospitals, nursing homes, and hospice facilities to help cheer up patients, and they have also been used in schools to give students working on their literacy skills a non-judgmental audience.